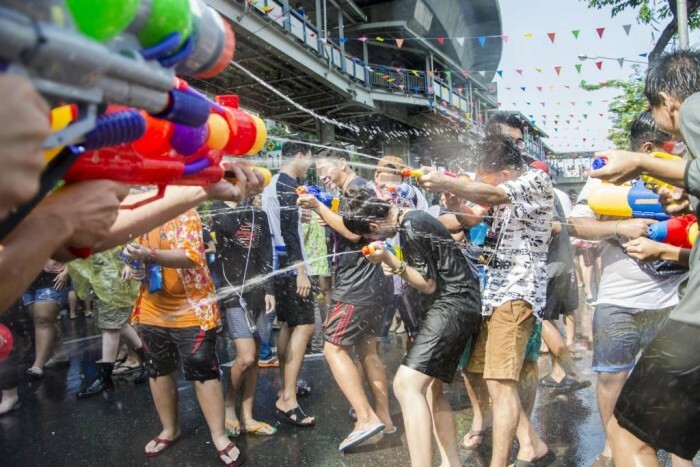 Where to celebrate Songkran Festival in Thailand's five biggest cities? 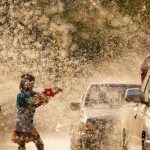 Home » Where to celebrate Songkran Festival in Thailand’s five biggest cities? Songkran is a festival that even strangers become friends, making new friends is borderless. A festival that clears all doubts whether ‘Thailand is the Land of Smiles’ is true. 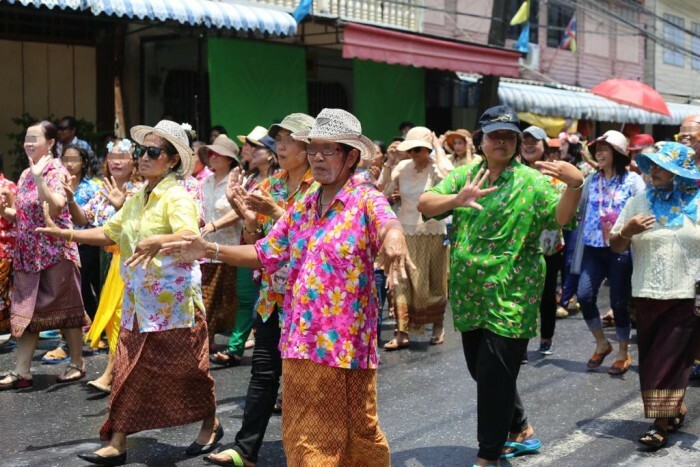 Through the eyes of the locals, the biggest festival in Thailand couldn’t go further than Songkran which celebrating traditional Thai New Year happening on every April 13-15. People take a pause and get to reunite with family nationwide. 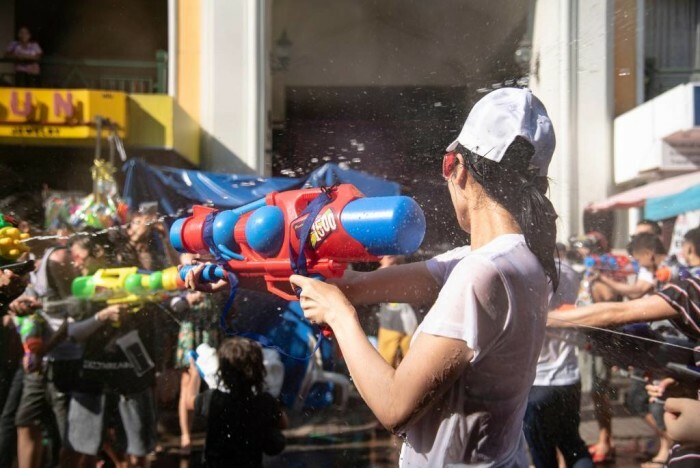 The rules to enjoy Songkran is knowing where you should be around and have your water pistol ready. Songkran in Thailand is mainly held in 5 big cities, which are Chiang Mai in the North, Bangkok in Central, Pattaya in the East and Phuket and Samui in the South. So we’ve this roadmap of this joyous journey to make sure that you will not miss to join in one of the wildest Thai festivals where people unhesitatingly throw a smile, laugh at you! 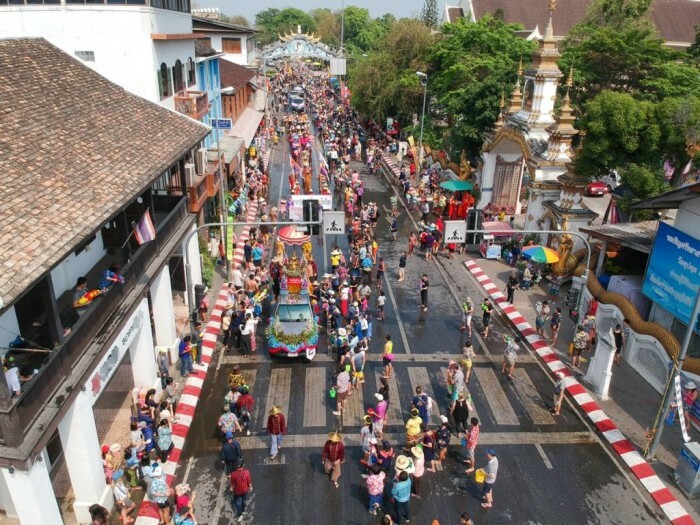 Presumably the most conventional Songkran Festival held in Thailand, Chiang Mai has so much in store to offer more than squirting water at one another and entertained by live music stages and alcoholic drinks. The historical ‘Tha Pae Gate’ extended to all fortress areas have temporarily become a large water battle field. 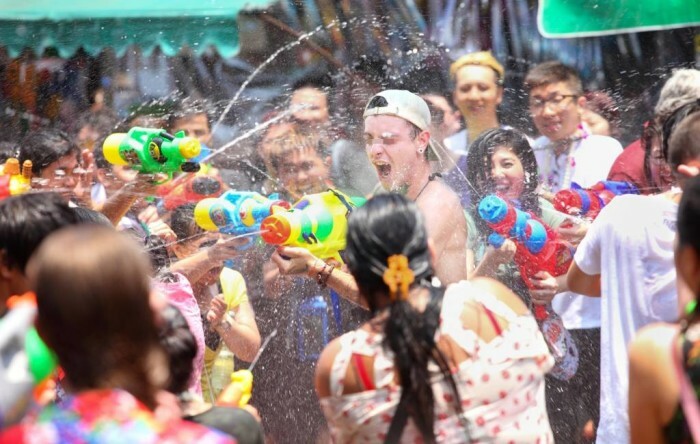 You can expect a bunch of Thai and foreign tourists alike flock to join in the huge water fight and street parties. Where Thailand is the ‘Land of Smiles’, Chiang Mai is then the ‘Land of Elephants’. So don’t be surprised to see these big buddies cheerfully spin around the water splash. And when the temperature decreases in the evening, as if you thought it’d end here, Chiang Mai again amazes you with a magnificent Buddha statues parade. 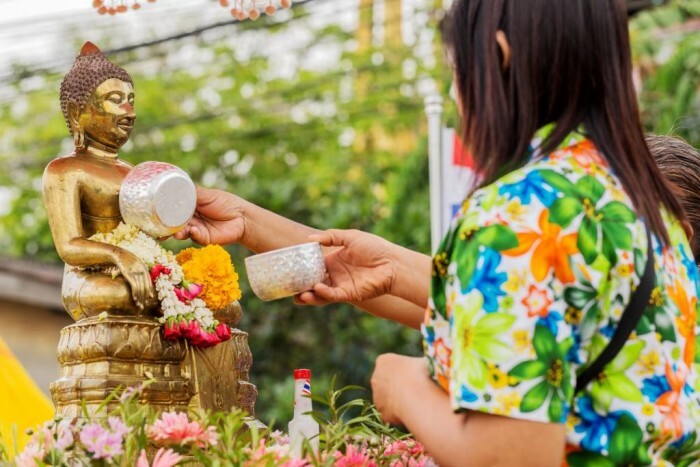 For those who can’t make it to the temples, here you can pour water over Buddha statues to start traditional Thai New Year pure and wash away bad luck. 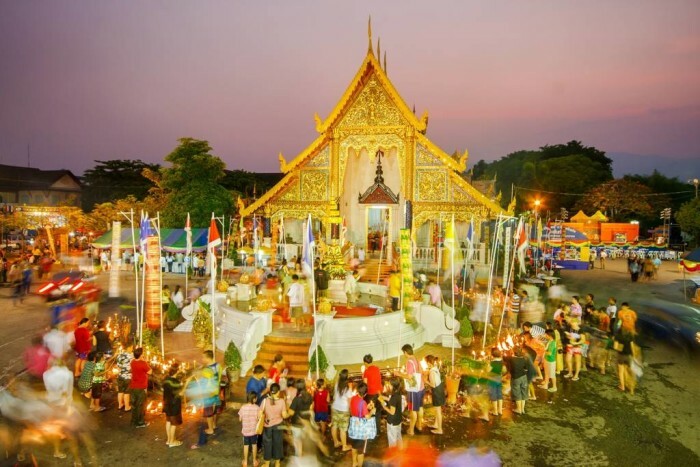 But if you finally find yourself available, we strongly recommend to go to Phra Singh temple where it holds the greatest original & traditional Songkran celebration in Chiang Mai. 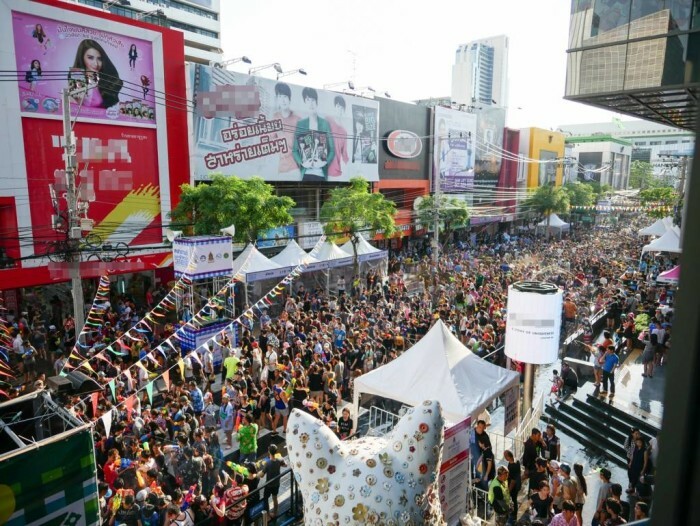 As expected, Songkran Festival in the capital can’t be ordinary. Bangkok has become a melting pot than even with crowds of Thai youngsters, people in the suburbs, tourists everywhere come to aggregate and burst into joys, smiles, laughter and a wet & wild festival. Each area represents dissimilar reputation. Check this out below where you should spend this once-in-a-year festival! Khaosarn Road – One of Thailand’s reputed water battle field favored by backpackers. No one can escape not to get soaked when entering Khaosan during this time of the year. However, the event might be varied each year according to the government policy. Silom Road – Easily accessible by the Subway and Skytrain, Silom has nothing less to offer than Khaosan Road. Known as office buildings and banks zone, the entire 5 kilometers length of Silom Road provides a space for people to throw water to cool down the heat. For observer only, staying up on BTS sky walk is a wise choice for enjoying Songkran in dry surroundings. Siam Square – A central of the capital is Siam Square, the hub of cool things and a popular haunt for teens just like the Shibuya of Tokyo. So expecting the almighty water fight scene and latest fashion trends you can find in Thailand. Also, you can make the most out of Songkran days by joining music live stages to sing along and dance with the greatest hits! RCA – Moving to the water battle field for adults. RCA is commonly known as the area of pubs and clubs in Bangkok just like the Pub Street in Siem Reap. 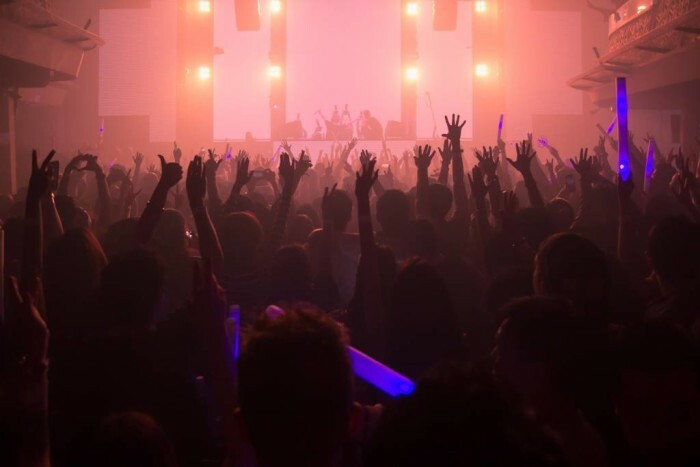 Tempting revelers with special party featured all-star DJs, a celebration in RCA is very extreme and will give you hours of adrenaline rush during Songkran Festival. Shopping Malls by the Chao Phraya River – Nothing beats Bangkok’s waterfront community malls and department stores. Celebrating Songkran in a traditional way might be rare in Bangkok but rest assured that some of the riverside shopping malls such as Asiatique The Riverfront, Iconsiam, Lhong 1919, and etc., will get you nothing similar to others. From pouring water over the Buddha statues to taking in the view of the Chao Phraya River, these areas still retain charms of conventional celebration congruous with chilled vibes all at once. Like its big brother Bangkok, Pattaya water fight scene has nothing less but instead added beach vibes to cool down the heat. 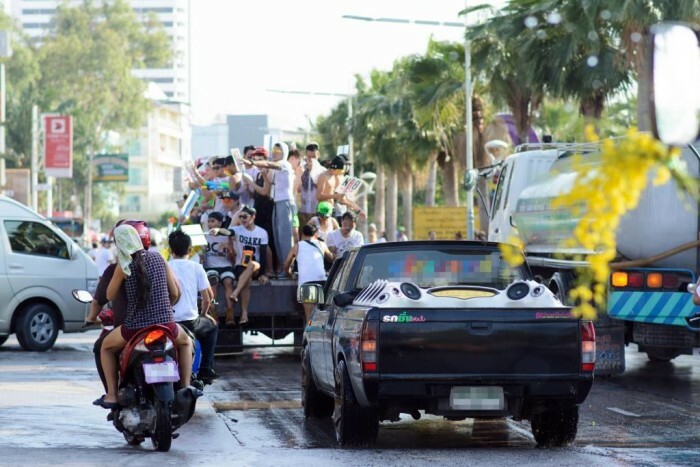 Surprisingly, Pattaya has its own Songkran version. 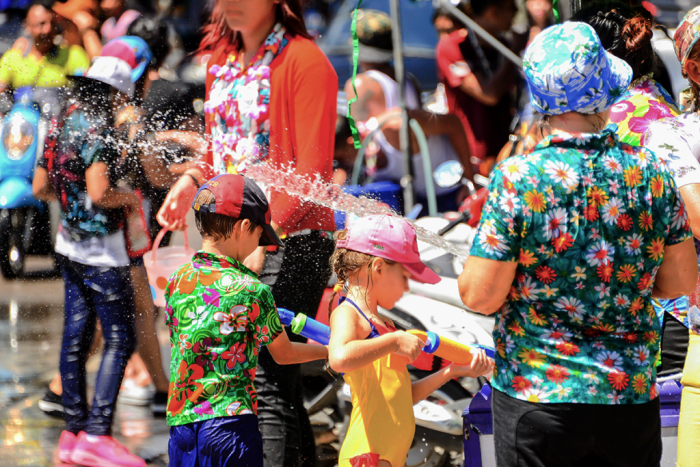 The locals don’t celebrate Songkran on the usual April 13-15, but it actually falls on April 19 or generally known as ‘Wan Lai’ (literally refers to a flowing day). The wet & wild festival starts in the morning and continue till the evening of the day. Pattaya Beach Road will be temporarily closed to traffic to ensure safety and to reduce car accidents. So you and your family can have fun without worries! 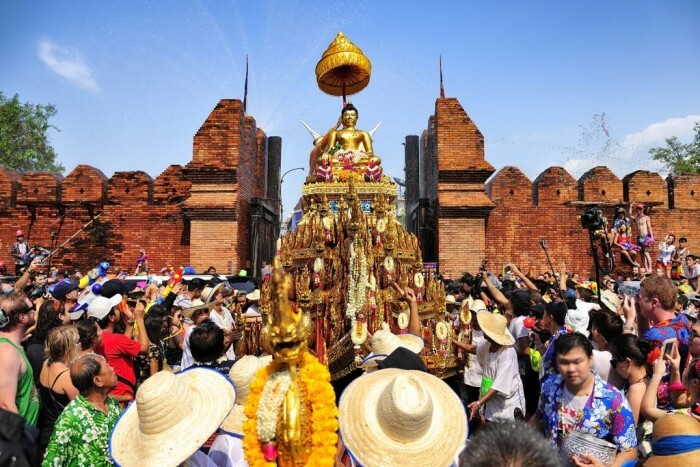 The wise option is to celebrate Songkran during April 13-15 in Samui or Phuket then fly to Pattaya to attend ‘Wan Lai’, the local Songkran event on April 19. 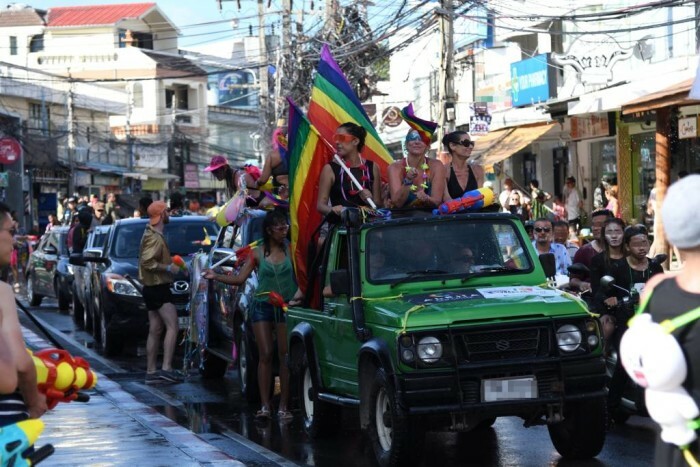 Songkran in Phuket will be much safer this year. Thanks to those involved, the ‘Songkran No Alcohol 2019’ event will be held on the coming April 13 at Limelight Avenue Phuket. 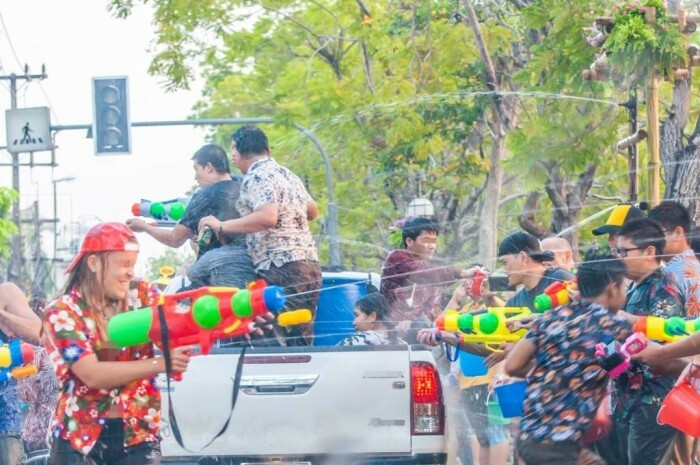 Before it’s getting beyond the decent traditional Thai New Year, this event reinforces ethical practices, prohibits carrying weapons, alcohols, high pressure water gun and as a result protects all participants from violent quarrels, accidents. 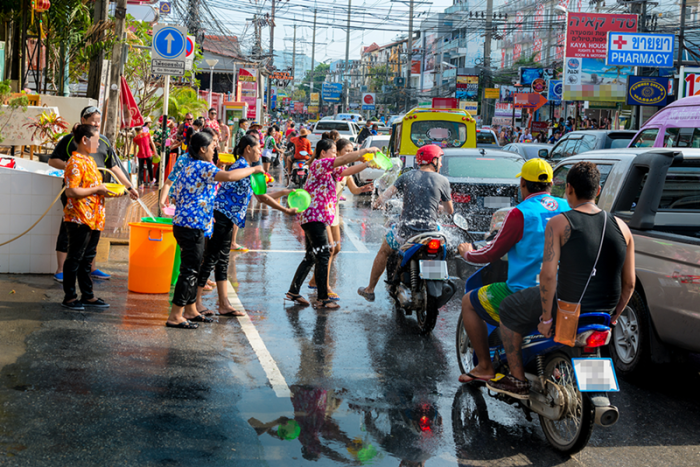 Another highlight worth spending time during Songkran is the’ WORLD Ride Together’. All bike lovers should make themselves available on April 12-14. This legendary event in Asia is a large gatherings of motorcyclists and by then it’s expected to draw over 10,000 motorcycles from 30 countries to Phuket. 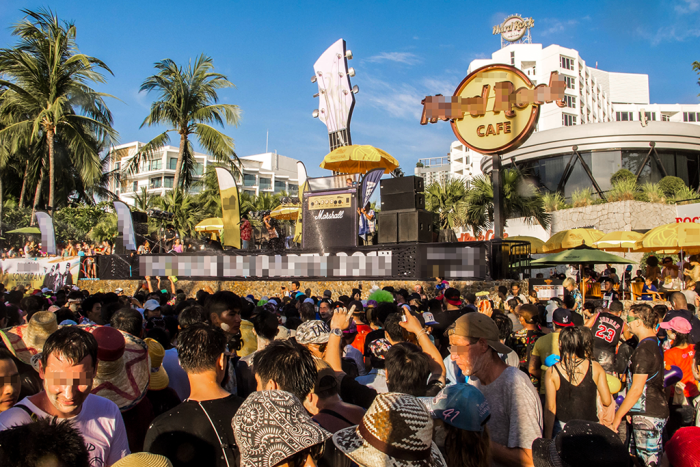 The excitement will take place in Patong Beach on April 12 – 14 and in Phuket Boat Lagoon on April 19-20. 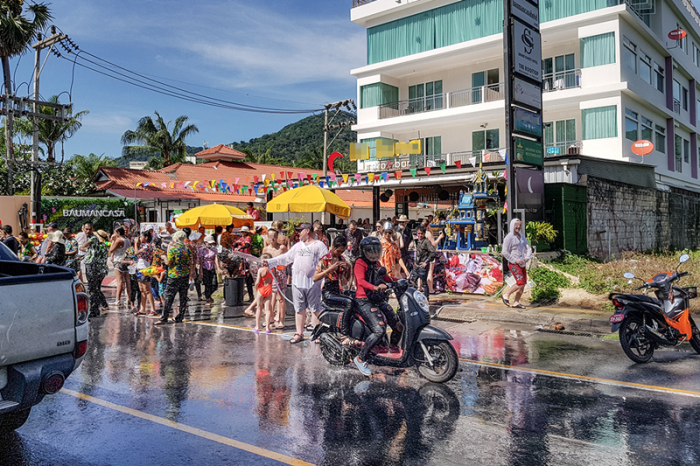 Probably the craziest thing you can do on an island, Koh Samui features three distinctive Songkran celebration styles to suit every type of travelers but sadly it seems to reach the peak period only for a day here (April 12). For entertainment, enjoyment and amusement, head to the Chaweng Beach where a bunch of Thai and foreign tourists flock to squirt water from their trunks on people. 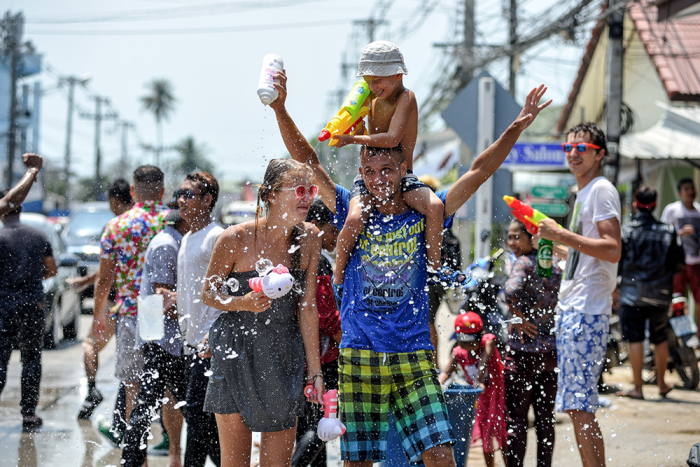 On Chaweng Beach Road near the branded ‘Central Festival Samui’ department store, there will be ‘Samui Coco Songkran 2019’ held during April 12-14. The event offers the opportunity you should grab if you wish to blend in with the locals. 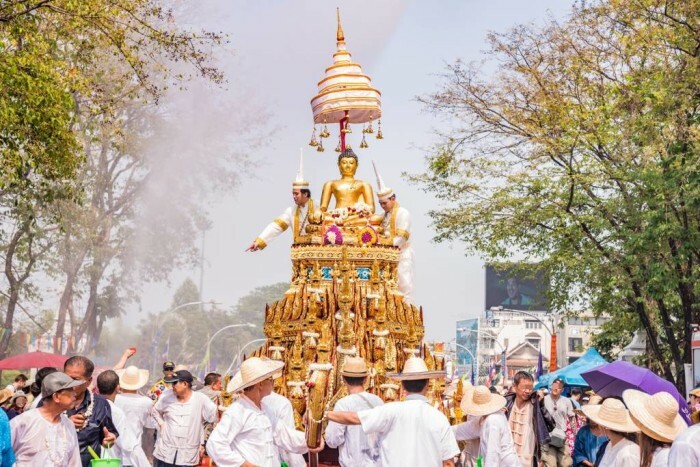 These include sprinkling water onto Buddha statues, pouring scented water on the hands of revered elders and ask for blessing and enjoying free musical performance. 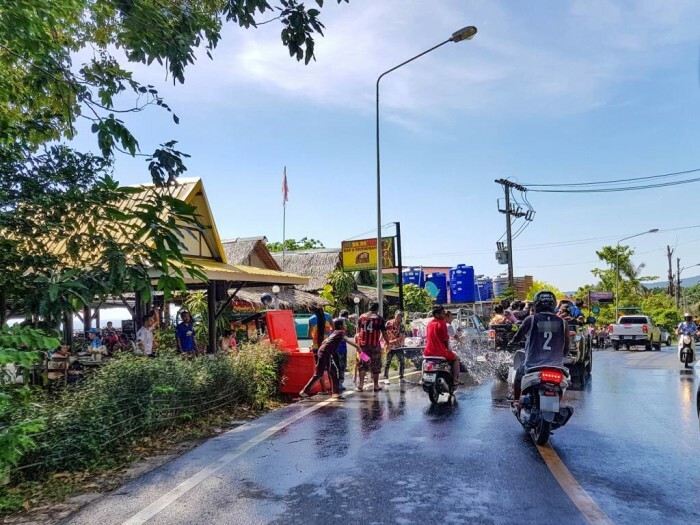 To tone down from the fanatic celebration of Songkran Festival, head to Choeng Mon or Bophut Fisherman’s Village to switch mood to a calmer and relaxing atmosphere especially if you’re with your children. Or you might consider going to ‘Nathon’ in the West Coast where you will see lesser tourists and focus more on what’s done in line with the tradition.